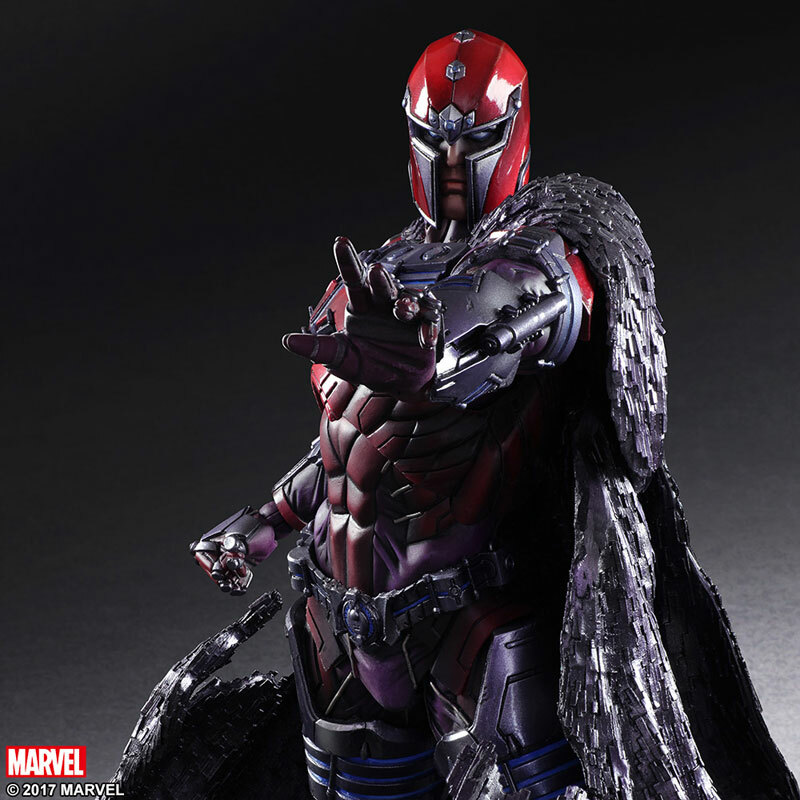 Photos and details have bee released for the upcoming Play Arts Kai Marvel Variant Magneto Figure. 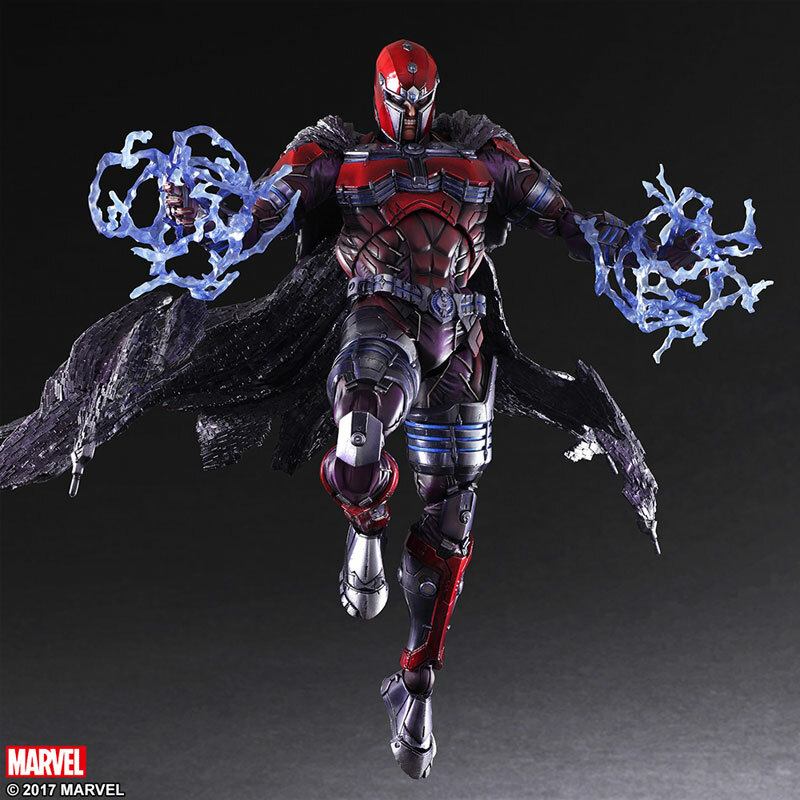 The newly designed Magneto figure will stand at 10″ tall. 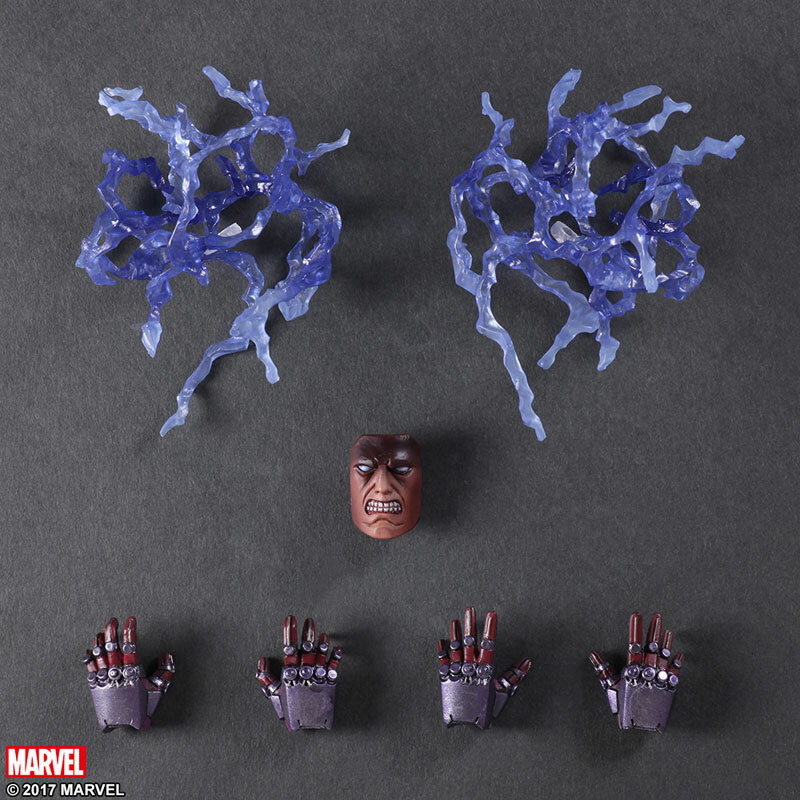 The figure includes a plastic cape (does not look to be removable), a swap out portrait, interchangeable hands, and two effects pieces. 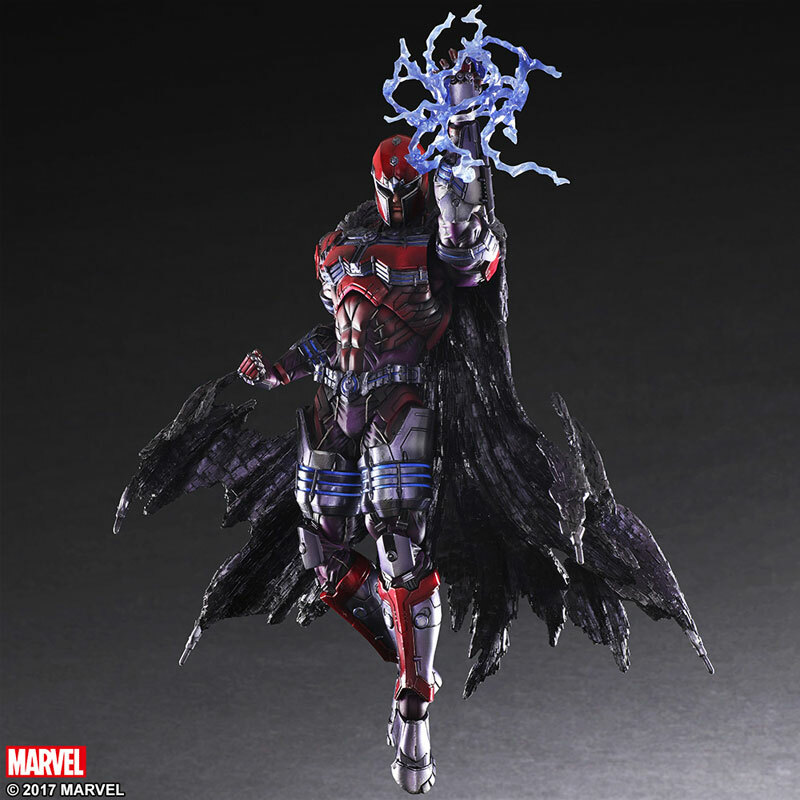 As with all Play Ats Kai figures, Magneto will also include a figure stand. North American release details are not available yet. The figure is scheduled for Japanese release in August. 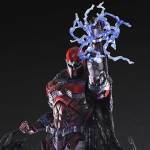 Play Arts Variant Magneto will be priced at 15,984 Yen (about $145 USD). See the new photos after the jump. 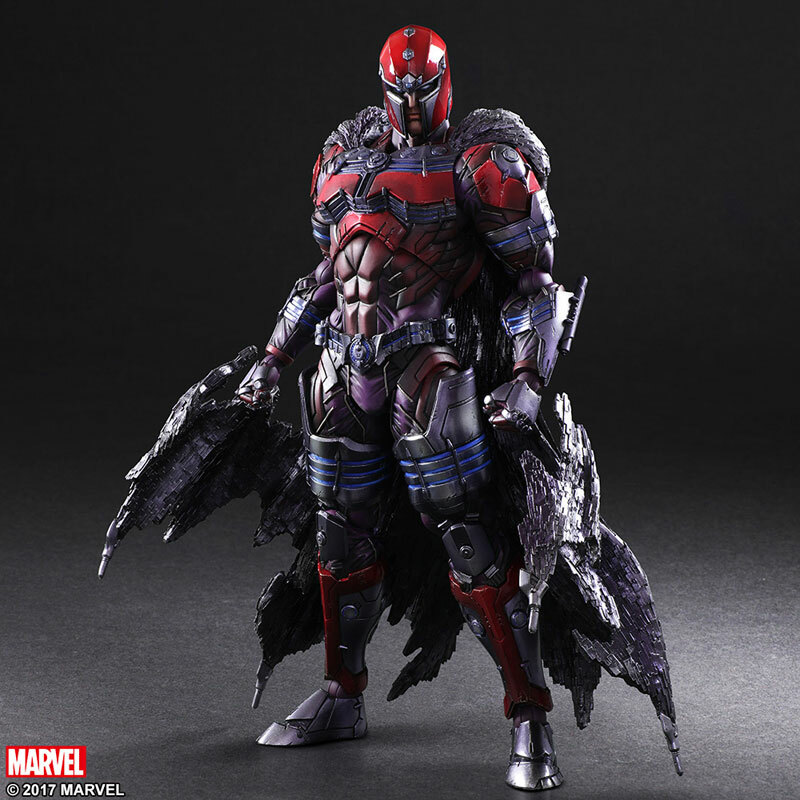 Not usually a fan of these figures but that is really sharp looking. 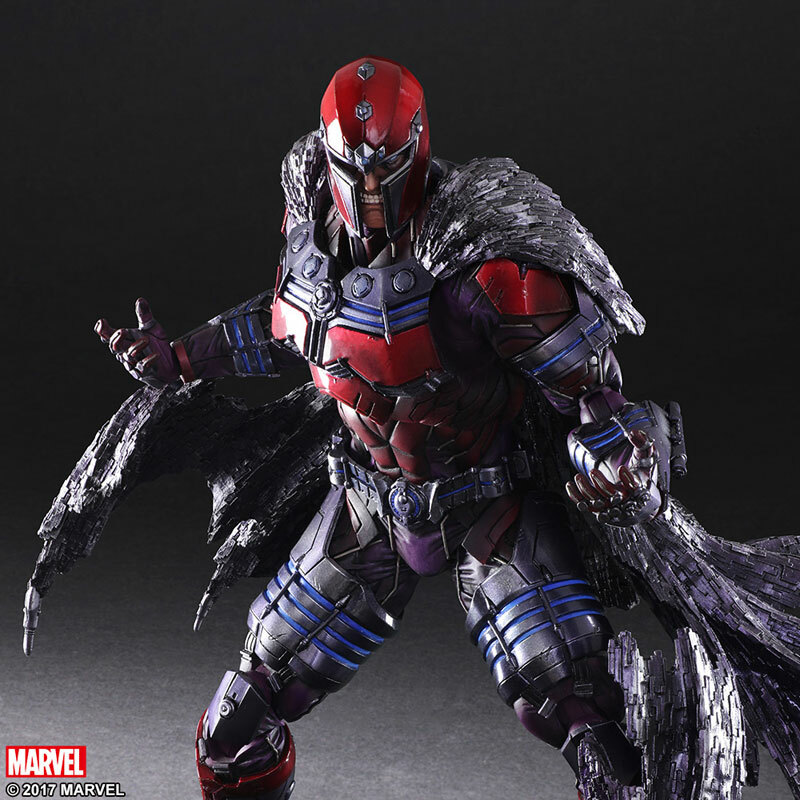 The cape makes me wonder why they didn't do any kind of floating metal bits swappable accessory for the cape or the hands. That's a really cool idea too. Yeah I've never been interested in any of the Kais but this looks great. 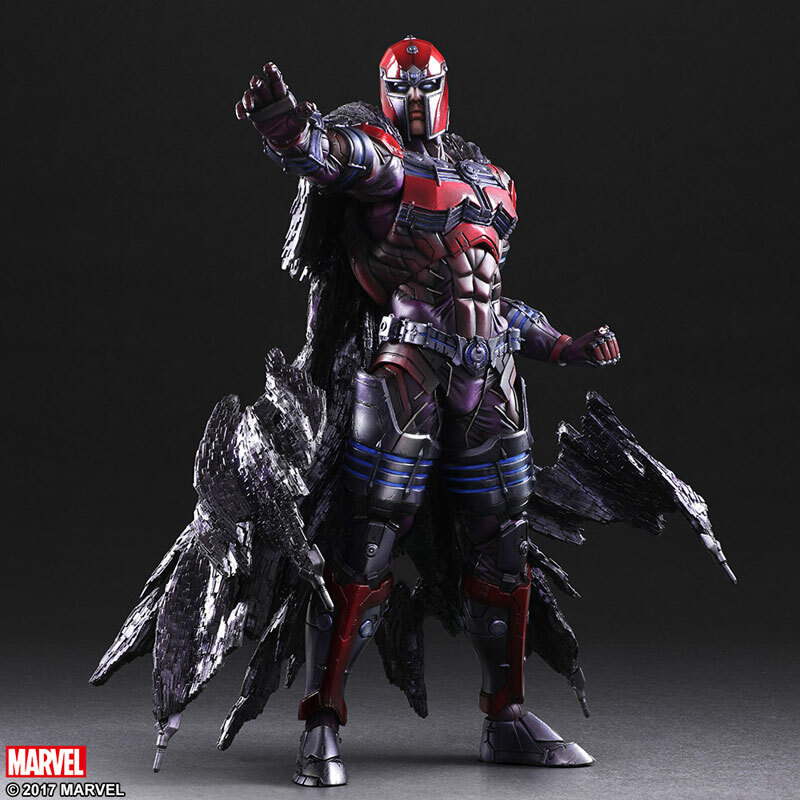 Too bad its out of my scale and price range but I really like what they've done with the design. 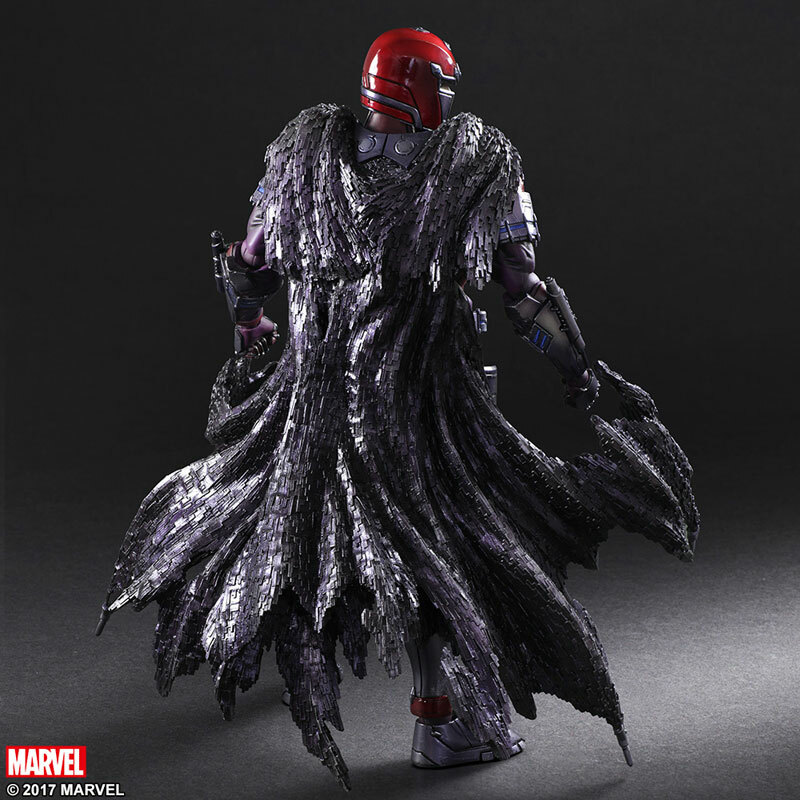 The cape is a particularly cool idea. Very cool. 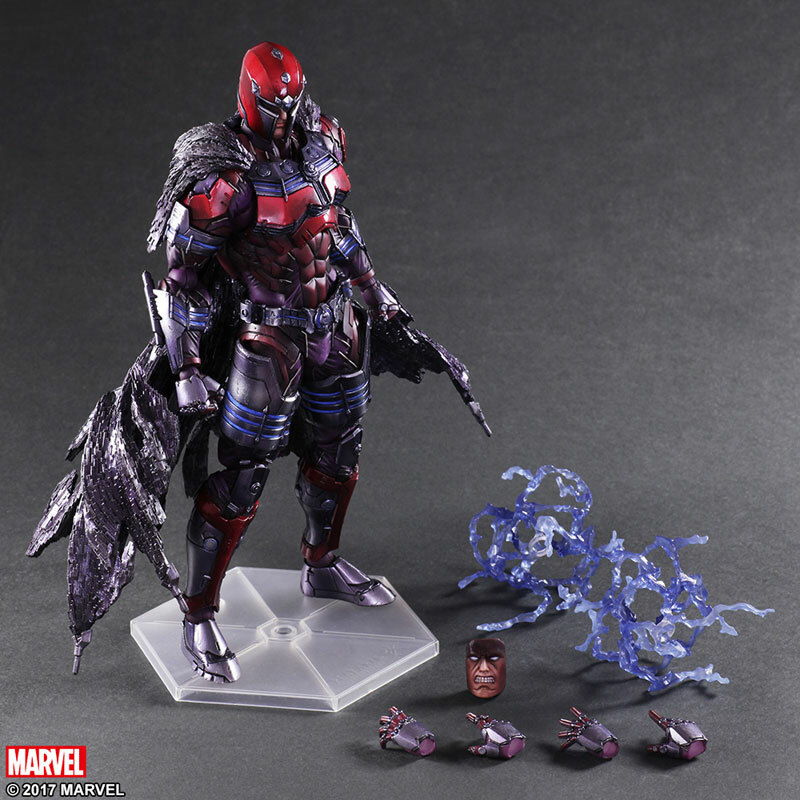 This and the upcoming Wolverine are really tempting despite the hefty prices. If they do a Ghost Rider I may have to cave in and start some serious saving. Tell me about it, I started to collect their marvel figures in this line...most of the Avenger ones were inexpensive for me, but the new Wolverine, Deadpool and now Mags ugh haha...They do look awesome though and I love the box art for them. For movies that seem afraid to dress anyone too "comic-booky," this actually makes a great justification... first time someone tries to hit Magneto from behind, he just pulls a bunch of metal scraps up behind him as a shield, and then because Fassbender is just that stylin', he decides to make it a permanent addition to his sartorial canon.